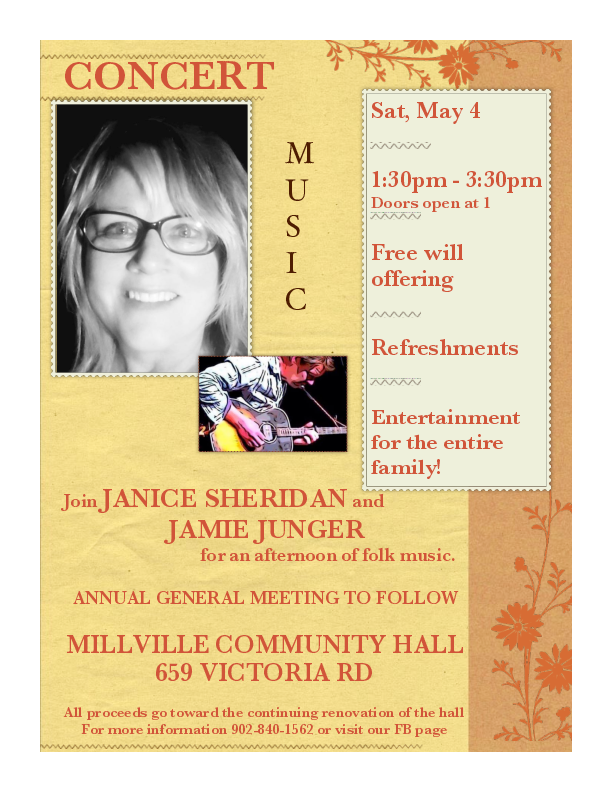 Bring the entire family out to hear Janice Sheridan and Jamie Junger perform! Music for the entire family in our newly renovated second level. Refreshments will be served. Free will offering where all funds raised go toward the completion of the stairwell. AGM to follow entertainment.